VEDANTA brought forward a planned annual shutdown of its Skorpion Zinc facilities in Namibia following a two-week strike by contractors employed by Basil Read, the group said in its 2019 production report. Commenting in the report today, Vedanta said the strike had had “… a severe negative impact on mining activities and the lead time to re-establish mining operations”. This resulted in a depletion of run of mine ore inventory and the closure of the Skorpion Zinc refinery during March “…while re-establishing mining buffers for a period of five weeks with start of operations slated for mid-April”. As a consequence, Skorpion had taken the opportunity to bring forward the annual shutdown previously scheduled for the second quarter of the current financial year. The strike is estimated to have lost about $20m, according to The Namibian newspaper. The viability of the business had been potentially placed in jeopardy, said the newspaper citing Skorpion Zinc GM, Irvinne Simataa. The contractors, employed by Basil Read, were working on a pit pushback which is planned to extend the life of the operation a year. The strike “… could result in the restructuring and/or premature closure of the operations. Without this life extension project, Skorpion Zinc would have ended its operations in 2017,” the newspaper said. Total production for the second half of the financial year from Vedanta’s Zinc International division totalled 94,000 tonnes, a 15% increase year-on-year owing to the commissioning of Gamsberg in South Africa. Production at Skorpion Zinc, however, was 15% lower year-on-year. On a full-year basis, total production from the division was 148,000 tonnes, 5% lower as a result of the strike, but partially offset by Gamsberg. Vedanta said mining production at Gamsberg was “going well as per plan”. Post trial production, the mine’s concentrator plant has been ramping up with plant having achieved availability of 80% in March. The second half numbers at Vedanta’s copper mines in Zambia were also depressed, falling 8% year-on-year to 42,000 tonnes. The decline was put down to the poor performance of a business partner at Konkola’s shaft 3 as well as lower equipment availability. Vedanta said a new business partner with better mining expertise had been identified with an improved performance expected for the current financial year. 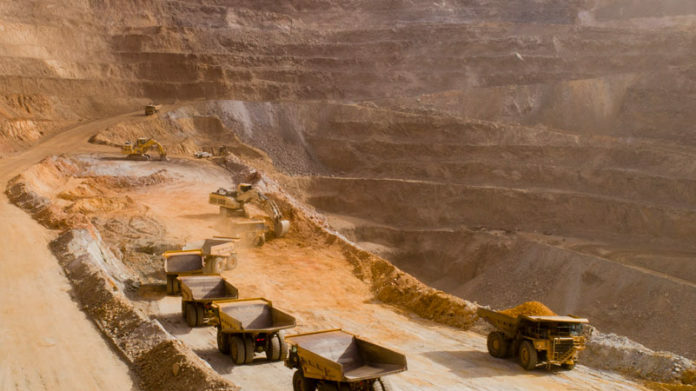 A heavy monsoon affected supply of ore from the Nchanga open pit whilst the smelter at Nchanga was also temporarily affected following a 5% custom duty on copper concentrates imposed by the Zambian government as of January. Mined copper production from Zambia totalled 91,000 tonnes which was flat year-on-year whilst ‘custom volumes’ were just over a fifth lower at some 87,000 tonnes mainly due to lower concentrate availability in the market and the levy of custom duty, the group said.